Harry The Librarian: Authors' homes are not as treasured as Graceland. Authors' homes are not as treasured as Graceland. With all due respect to Elvis fans, I am saddened to learn in the Boston Globe article below that writer's homes are not so treasured. 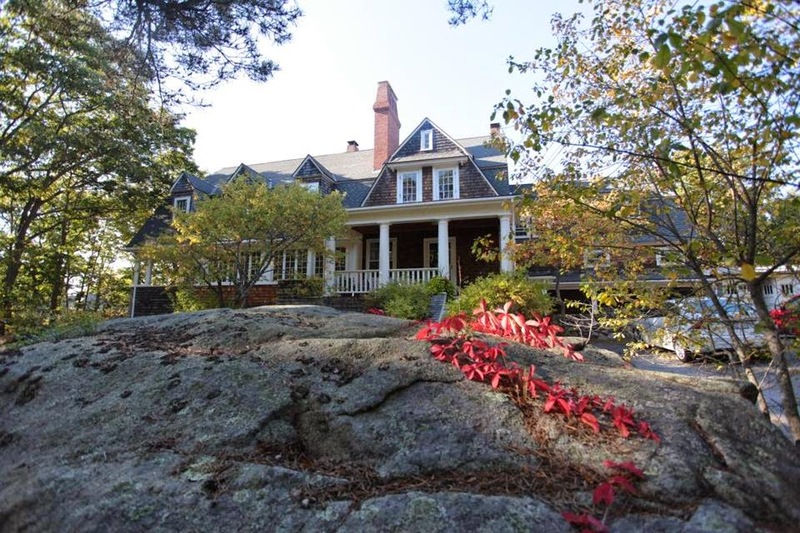 Broker Jane Darrach, trying to sell J. D. Salinger's home, said “I don’t see [literary fame] carrying it over... writers’ admirers aren’t generally 'as demented' as fans obsessed with pop stars." A famous writer slept here, but do house buyers care? caption: Some potential buyers who visited this 15-room house in Gloucester where a young T.S. 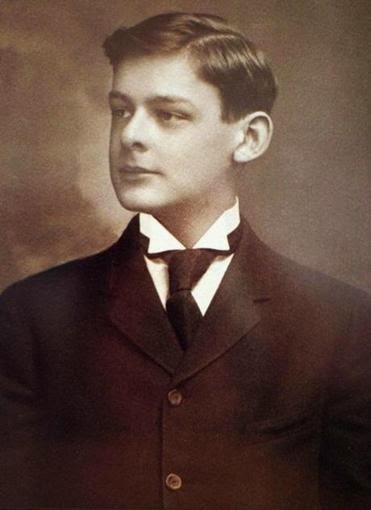 Eliot spent his summers were unimpressed by its literary connection. Hanson cheerfully admitted he had no plans to acquire the $1.349 million, 15-room Dutch Colonial where Eliot summered as a boy, but he took a tour anyway, and hoped the prestige would rub off. “Maybe I’ll pretend I’m T.S. Eliot,” he said, striking a writerly pose. With all its famous-writers-house museums New England makes for a great literary tourism vacation. But right now, the homes of three beloved literary figures are listed not in travel guides, but rather in the realtor’s bible, MLS. 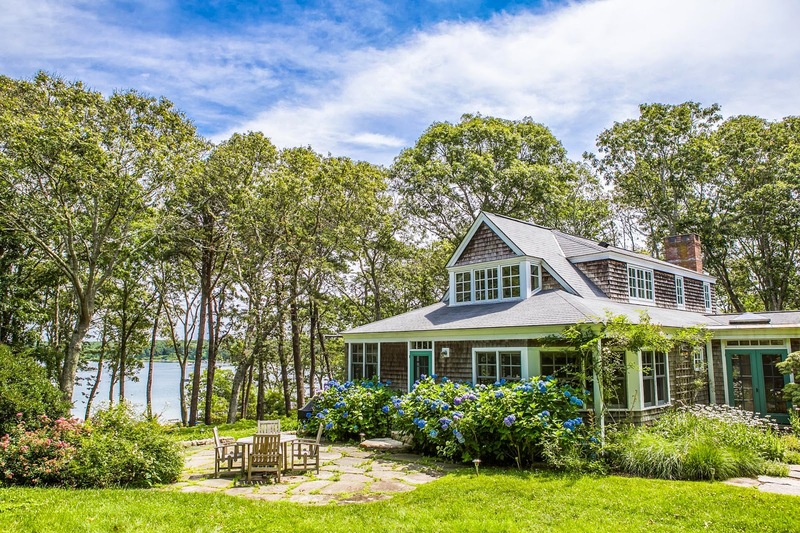 caption: Author Judy Blume’s Martha’s Vineyard home has been on the market for nearly two years. Along with Eliot’s home — whose owner just accepted an offer — the house J.D. 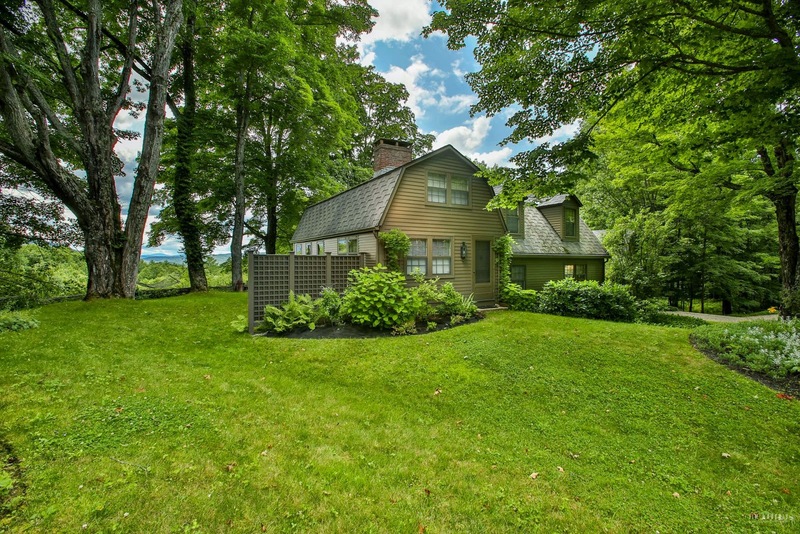 Salinger escaped to from Manhattan, on a bucolic, unpaved road in Cornish, N.H., is on the market for $679,000. On Martha’s Vineyard, part of Judy Blume’s two-parcel waterfront estate — asking price $4.75 million — just went under agreement. The confluence of literature and listings raises a question: What does a literary reputation do for the value of a house? 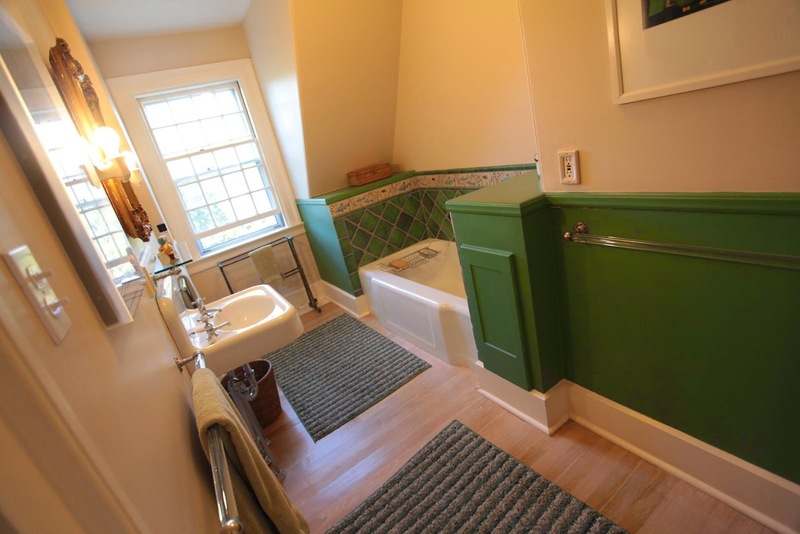 caption: Second-floor bathroom at T.S. Eliot's childhood home. Indeed, Blume’s house has been on the market for nearly two years. In Provincetown, Norman Mailer’s waterfront home just sold this past July, for $3.1 million; it lingered for a year after an initial sale fell through. Art Buchwald’s 4,200-square foot place in Martha’s Vineyard spent nearly three years on the market before it sold in January 2013, for $1.395 million. “I don’t see [literary fame] carrying it over unless you get someone who is an incredible nut,” Darrach said, noting that writers’ admirers aren’t generally “as demented” as fans obsessed with pop stars. And yet . . . if the seller is willing to name drop (not all are, the broker selling John Updike’s Beverly Farms house, following his death, in 2009, had to sign a confidentiality agreement), brokers say it can’t hurt. caption: A childhood photo of T.S. Eliot. At the Eliot open house in late September, on the dining room table, the poet and playwright’s bio was displayed next to the information sheet about the water and sewer systems. “Here he is as a young boy,” the listing broker, Gretchen Parker, said to a prospective buyer, pointing to a photograph in a book that had been left open to just the right page. Some prospective buyers at the open house didn’t care who had slept there. “Didn’t he die about 50 years ago?” one shopper said dismissively (yes). But for others, the literary connection is a lure. Caption: The former home of J.D. Salinger in Cornish, N.H.
Michael Litel, of Boston, said he readied for his visit by listening to his wife read Eliot’s “The Love Song of J. Alfred Prufrock” (“In the room the women come and go/Talking of Michelangelo”) and parts of “The Waste Land” (“I will show you fear in a handful of dust”). “The idea that [Eliot] lived in this house is exciting,” Litel said. But locally, those who’ve bought houses with a famous connection say it was a bonus, not the driving force. Dana Hawkes, the owner of Eliot’s house since 1998, is an accidental docent. When Joan Littlefield and her late husband bought Salinger’s cottage, in 1983, she hadn’t yet read “The Catcher in the Rye,” the book that brought him the fame he was trying to escape. 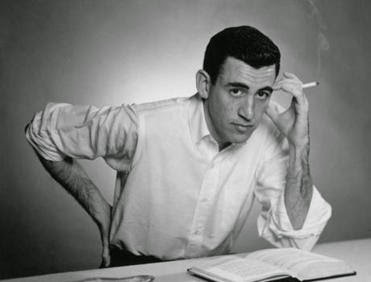 After moving in, Littlefield stayed up all night reading it, and quickly came to feel protective of Salinger, who had moved to a house a very short stroll away after he and his wife second wife, Claire, divorced, in 1967. Littlefield, it should be noted, lived the dream of every person who thinks it would be cool to live in an author’s house: in a crawl space, she found some of Salinger’s papers — some homeopathic recipes and an account book. Meanwhile, Darrach, the broker, said that while buyers might be excited by the literary connection, sellers are looking to recoup an investment. “We’ve had several people to see the house and wonder if the owner might sell it [for below asking] so they can turn it into a Salinger retreat or a museum,” she said. Author kicks me in the stomach - and I love it! Fiction with a believable - and bleeding - hero!